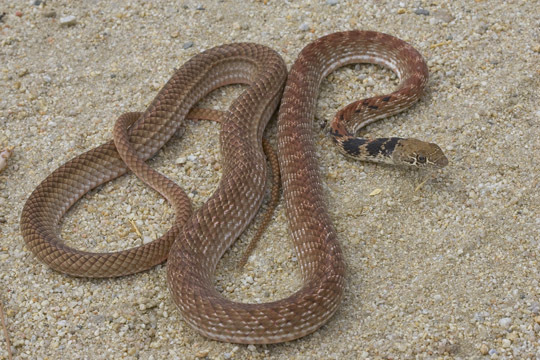 Coachwhips (Masticophis flagellum), named for the 'braided' scale pattern on the long, thin tail, are large, graceful, alert snakes found throughout much of temperate North America. Coachwhips feed on lizards, rodents, small birds -- basically anything they can catch -- which are overpowered and swallowed alive (these snakes are not venomous but will bite vigorously if cornered or captured). 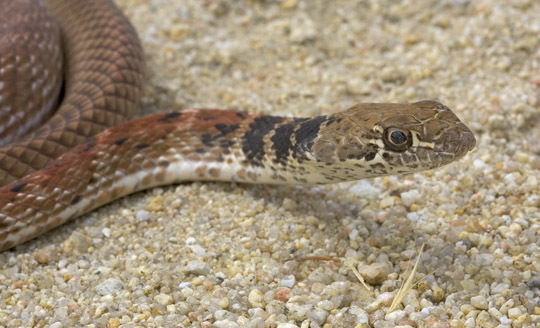 They favor warm temperatures and are extremely fast -- probably the fastest snakes in the US. 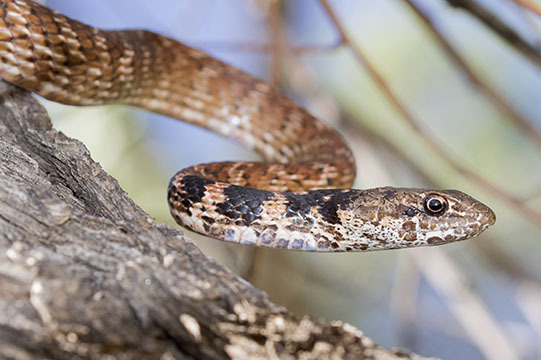 In California, most are brick-red with some black patterning on the 'neck'. Usually they are off like a shot into cover as soon as they see you; I took these pictures near Riverside and at Big Morongo Reserve, both in California.